Marc is a specialist in the fields of digital learning and youth development with broad experience designing programming and learning environments in local and national contexts. He leads the design and development of virtual, programmatic, and professional learning for Mouse. In 2017 Marc was the first Youth Studies Practitioner Fellow at City University of New York (CUNY), where he now holds an adjunct position teaching his course, Youth Identity and Digital Environments. His podcast, No Such Thing, downloaded in over 35 countries, is about the promise and reality of learning with technology. 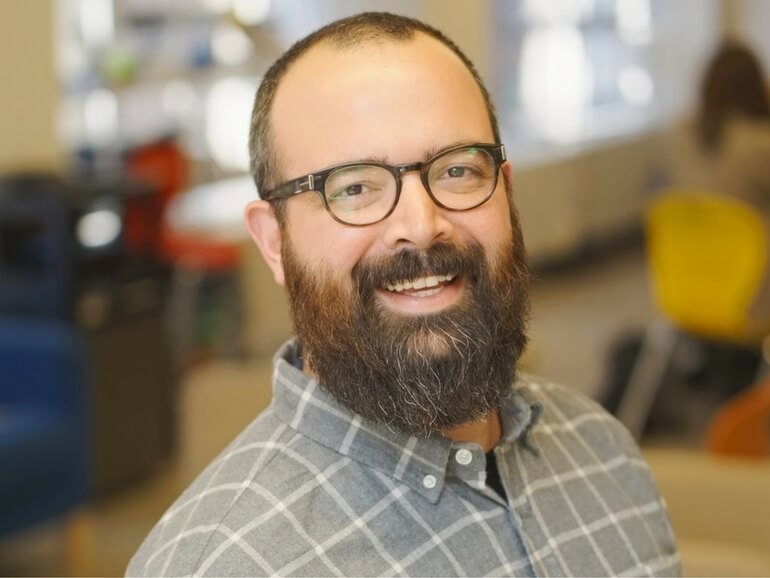 Marc has served as an advisor to research, policy, and practice in education for National Science Foundation, Mozilla, Microsoft Partners in Education, MacArthur Foundation and more. Recently he was named to the Task Force for Broadening Participation in STEM by the CAISE, the Center for Advancement of Informal Science Education. Marc holds a Master’s degree from NYU’s Educational Communication & Technology program, is co-founder of Emoti-Con NYC, New York’s largest Youth Digital Media and Technology Festival and, in 2012, was named a National School Boards Association “20-to-Watch” among national leaders in education and technology. His experience is shaped by previous roles as an educator, trainer, and grants manager in the area of arts, media, and technology education. Marc prefers handmade things, and <3’s fish and clever storage solutions. Learn more about Marc’s show at nosuchthingpodcast.org.